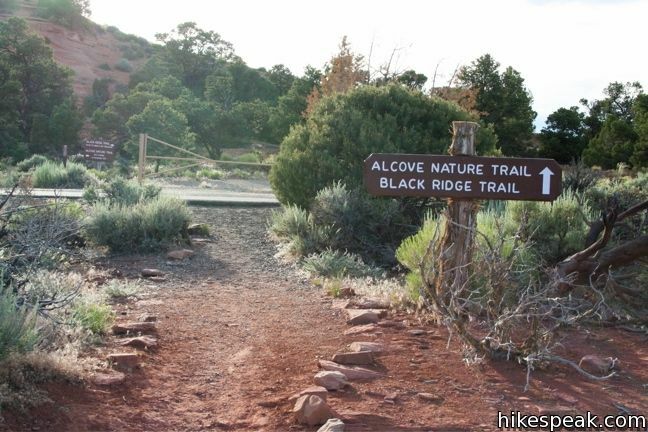 Across the road from the park visitor center (and Canyon Rim Trail) is Alcove Nature Trail. 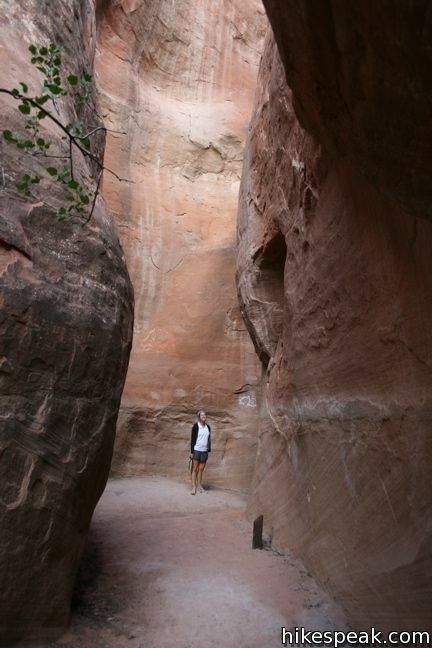 This track is set back from the canyon rim, which limits views of the great landscape. What this trail offers instead is an informative hike with numbered markers that coincide with entries in a guide booklet. The entries describe plants and animals in the park as well as the geological history. This level one-mile round trip trail is less scenic that others in the park but is perfect for educating/boring young children. 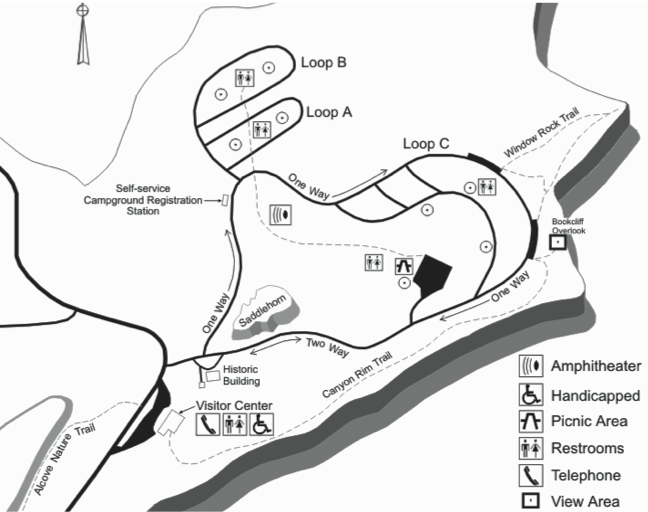 Follow signs from the visitor center parking lot and begin up Alcove Nature Trail. After purchasing a pamphlet from the trail guide dispenser for fifty cents, make a left at the junction. Once you have the guide in hand, start reading! The 31 numbered signs come fast and frequent, making it hard to keep up with the long passages in the guide. 11. Like a standing skeleton, this ancient gnarled juniper tree was over 300 years old when it died. All plants and animals eventually yield their places to other plants and animals. It may take more than a century for a dead juniper tree to topple and decay here in the desert, but the stored nutrients will be reused time and time again. Everything in nature is recycled and nothing is wasted. 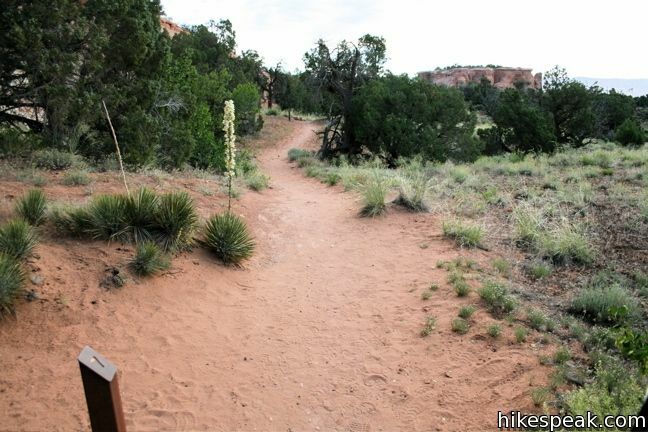 The trail brochure is produced by the Colorado National Monument Association and is packed with information about the park. 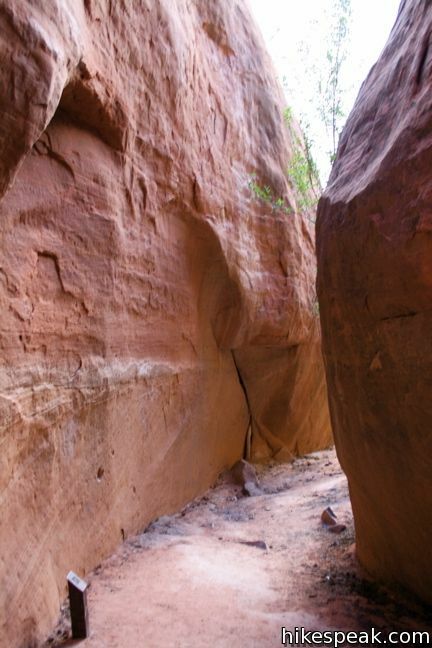 After half a mile of level hiking, the trail dead-ends at the back of a box canyon. This is the most visually interesting part of the hike, and the end of the entries in the pamphlet. From here, turn around and follow the same track back. You can reread your favorite entries as you return to the visitor center. 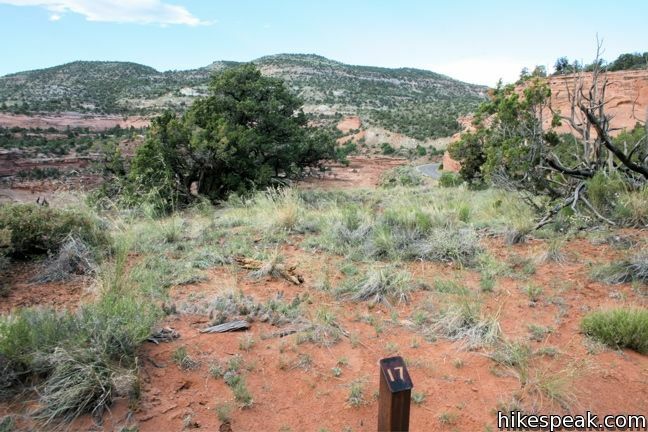 Block out around 45 minutes to hike this one-mile hike with 175 feet of elevation change. 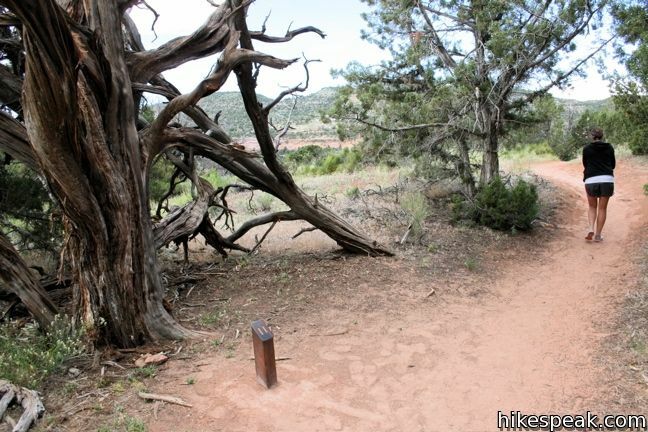 To get to the trailhead: From Saddlehorn Visitor Center, 4.3 miles south the west entrance of Colorado National Monument on Rim Rock Drive, follow the signs across the road to the start of Alcove Trail. 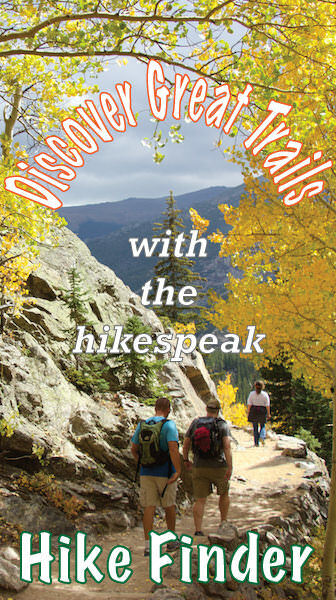 Or view a regional map of surrounding Colorado trails and campgrounds. 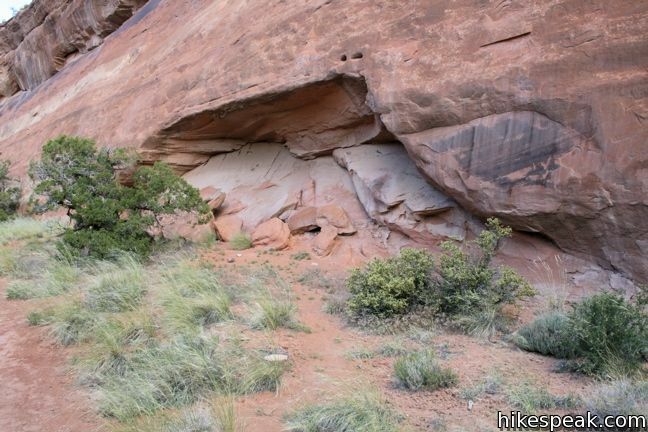 This one-mile round trip hike begins at Saddlehorn Visitor Center and travels along the cliffs edge overlooking Monument Canyon. 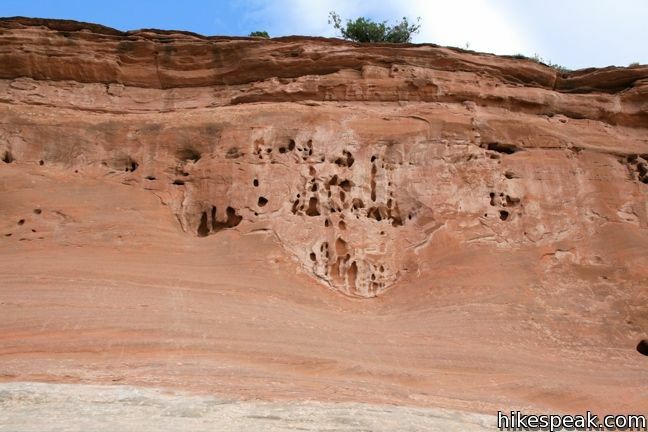 This 1/3-mile round trip hike ends at a distinct point on the wall of Monument Canyon where a natural window appears just below the top of the cliff. 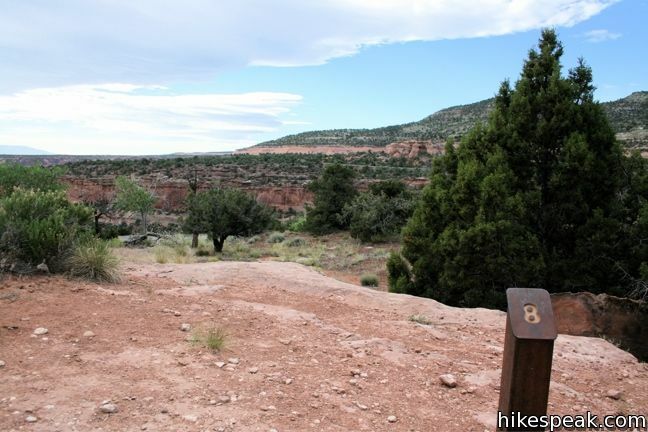 This 0.75-mile round trip hike visits an overlook near the Pipe Organs with an excellent view of Independence Monument and Monument Canyon. 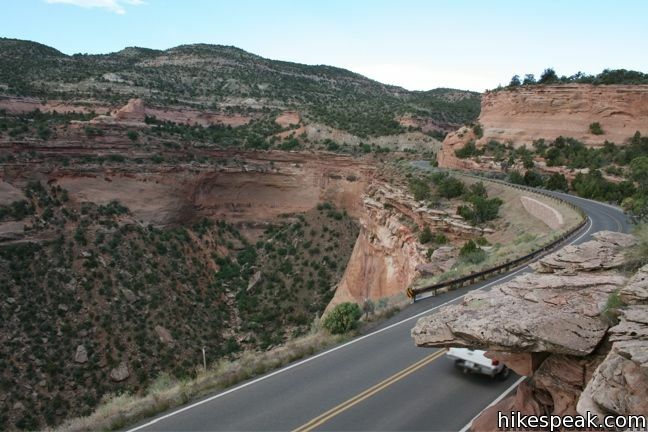 Explore other destinations in Colorado National Monument. This 80-site campground is the only designated camping area in Colorado National Park, conveniently located near Saddlehorn Visitor Center.